Funeral mass for Charlotte R. Eul, of Morris, Minnesota, will be on Tuesday, April 16, 2019 at 10:30 a.m. at Assumption Catholic Church in Morris. A visitation will be one hour prior to the services on Tuesday at the church. Burial will be at Calvary Cemetery in Morris. Charlotte Rosella Eul was born in Morris, Minnesota to Sylvester and Edna (Storck) Eul. She was raised in Morris where she received her education. Charlotte graduated with the Morris High School, class of 1949. Following her schooling, she worked for Honeywell and then moved to California where she worked for Triple A and also in the banking industry. Charlotte moved back to Morris and worked a short time at the hospital before beginning her career in the UMM Registrar’s Office where she worked until her retirement in 1985. After retirement, Charlotte continued to live in Morris. Charlotte was a member of Assumption Catholic Church in Morris. She enjoyed trips out to California to visit family and friends. Charlotte loved all sports – watching her friends and family play baseball or basketball. Also, watching the Minnesota Twins and Minnesota Vikings were a favorite pastime. Most importantly, Charlotte cherished the time she spent with her family, especially at family gatherings. 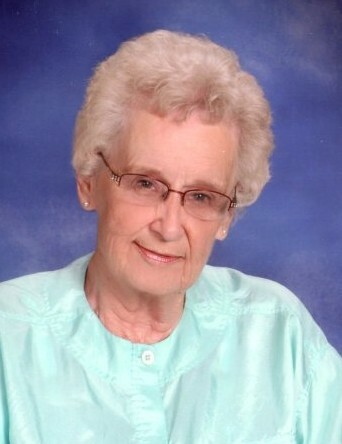 Charlotte died peacefully on Saturday, April 13, 2019, at West Wind Village in Morris; she was 87 years old. Charlotte is survived by her brother, Ted (DeLores) Eul of Chokio; and many nieces, nephews and great-nieces and great-nephews. She is preceded in death by her parents, Sylvester and Edna; two sisters: Patricia Eklund and Mary Flohr; and two nephews: Alan Eul and Mark Eklund. Pedersen Funeral Home in Morris is in charge of arrangements for Charlotte.